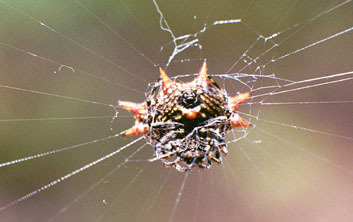 Spiny orb weavers are one of the most easily identified spiders in Florida. 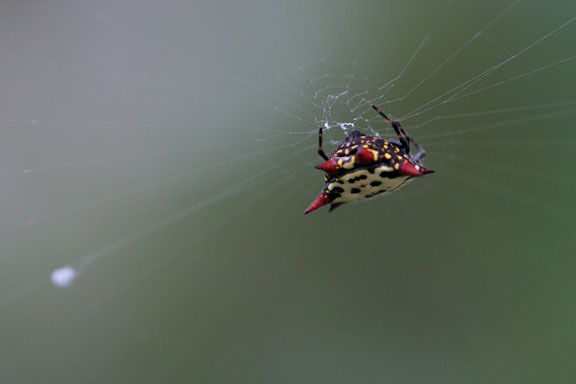 Found throughout the state, especially in citrus groves, their range extends through the southern states to California and south into northern Argentina. 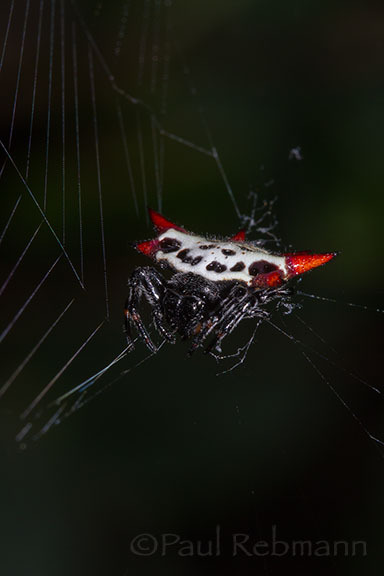 In Florida, the upper side of the abdomen is white with black spots and six red projections, commonly referred to as spines. 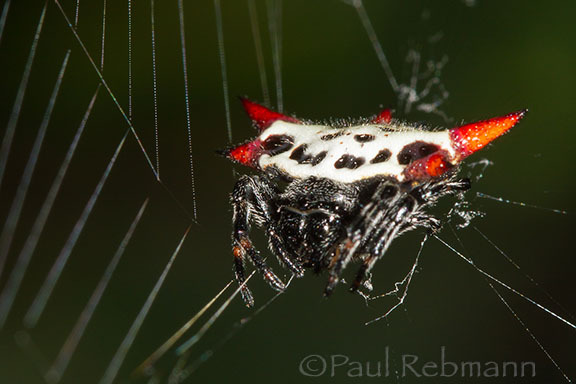 The underside is black with tiny white dots. 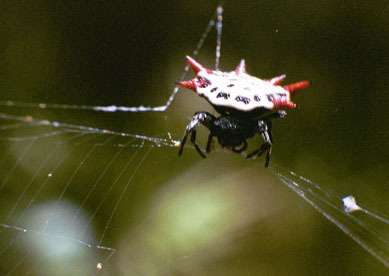 Gasteracantha cancriformis in other geographic areas may have other colorings. 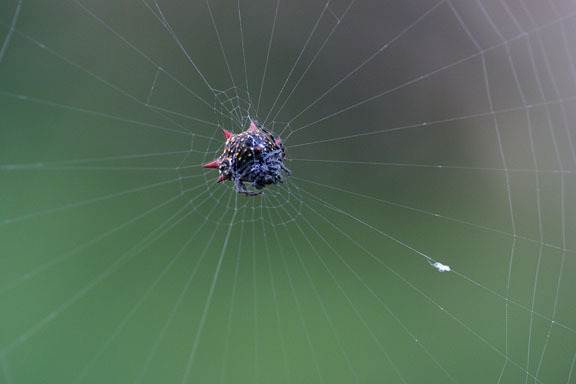 Females are 5-9mm (3/16-1/3 in.) long and 10-13mm(3/8-1/2in.) wide. 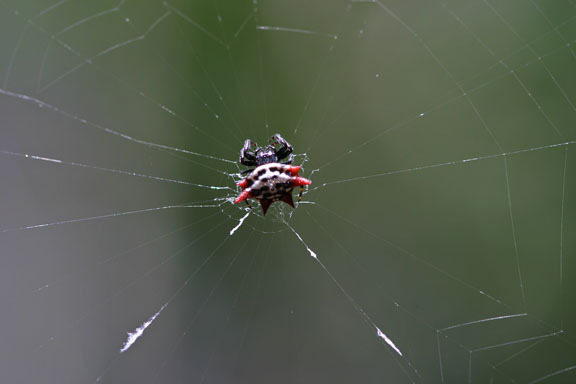 The males are much smaller, longer than wide, and only 2-3mm(<1/8in.) long. 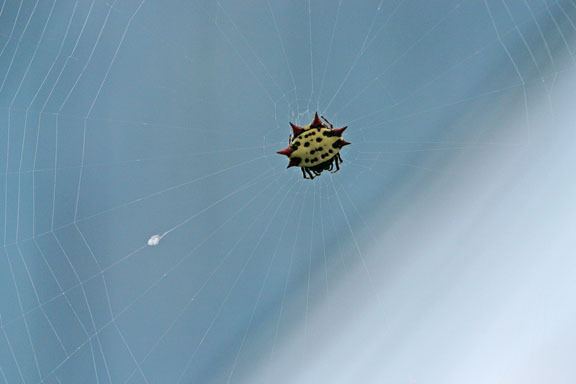 Gasteracantha cancriformis is a member of the Araneidae - Orb-weavers family.